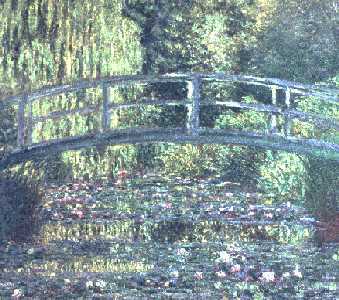 Claude Monet: Classic French Impressionist painter. Thomas Kinkade: Modern "Painter of Light". Known for his oil paintings depicting realistic landscapes and mythical gradens. Like Monet, makes great use of light and color. Anne Geddes: Modern baby photographer. Known for putting babies into unusual outfits and situations. Metropolitan Museum of Art: Great collection of Egyptian art. My goal is to to make it there on one of my trips to NY someday. The Acropolis Museum: Located in Athens, home to pieces of ancient Greek civilization.